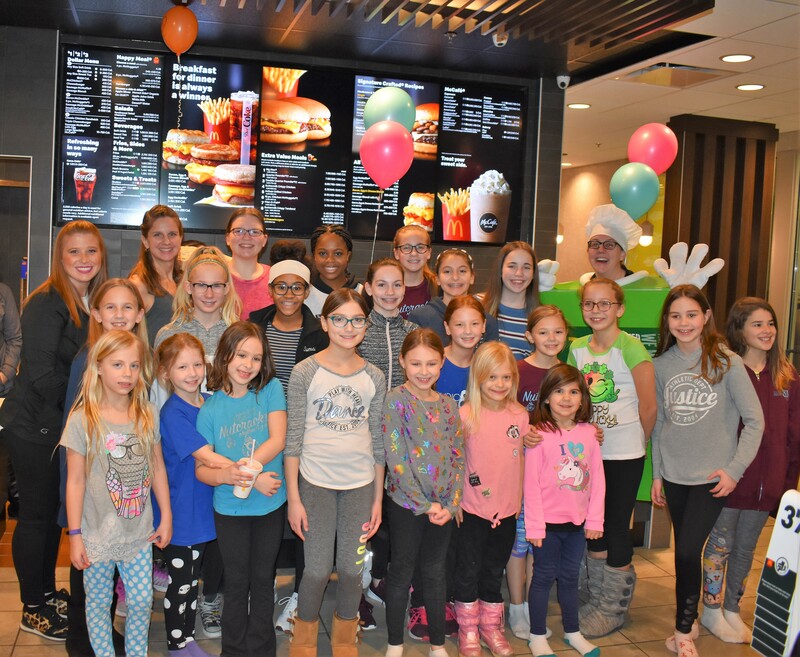 Buffalo Grove|Buffalo Grove Park District’s School of Dance, Studio 83 Dance Academy was movin’ and groovin’ at the Wheeling McDonald’s on Lake Cook Road Thursday, January 3rd and they were “Lovin it”. 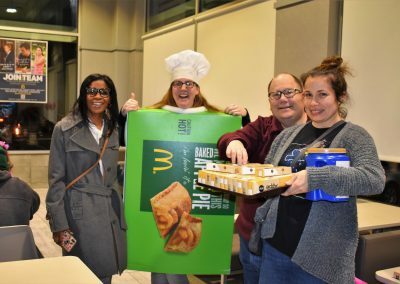 Several Dance Instructors, Park District Employees, and Team Moms came to volunteer their time during this event, in support of the Dance Team. 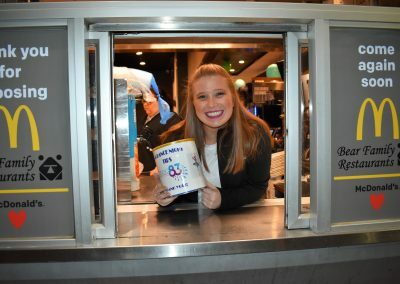 They worked behind the counter taking orders, preparing freshly cooked meals and handing out food and desserts to patrons. 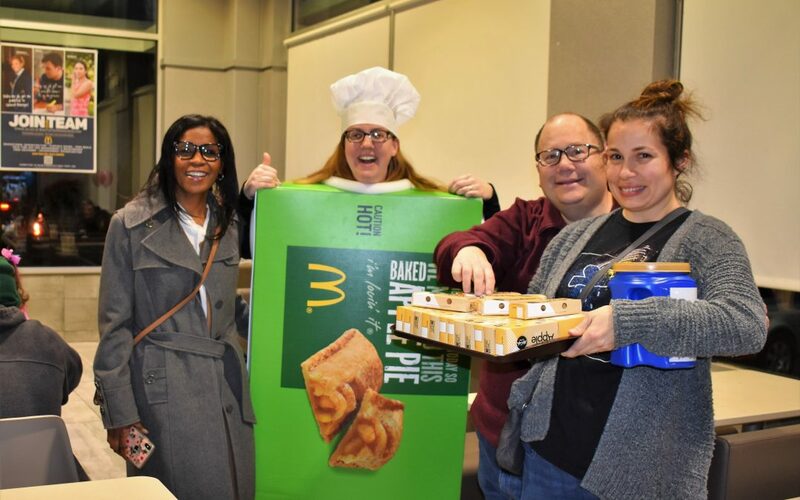 Team Parents, Rachel Castellanos, and Sara Lambert sold pies while Dance Instructors Ally Stanczak, and Gini Griffin dressed up in pie box during the entire three-hour event. All 102 pies sold were donated by Mr. Bear and 100% of those proceeds went directly back to the Park District. This was all part of a fundraiser to help offset the cost of the dance teams competition fees. 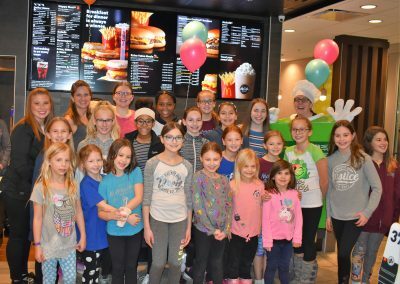 McDance Night is organized to help raise money for local organizations by having the dance instructors work at McDonald’s and then giving a percentage of the night’s sales to the local organization. 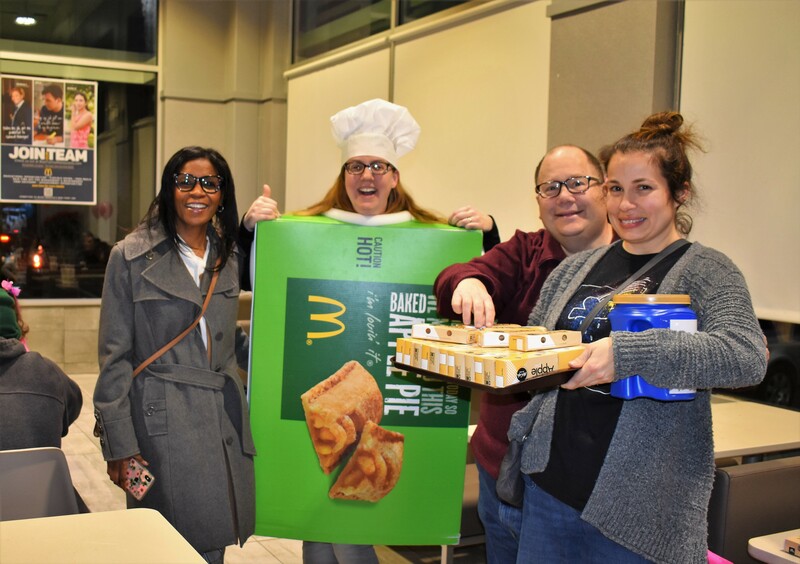 The event was made possible by the generosity of the Bear Family Restaurants, and Chicagoland McDonald’s Franchise Owner-Operator, David Bear and his amazing staff, who assisted with the event throughout the night. David Bear was excited to host the dancers and the instructors. Bear said he always loves the positive energy the event brings to the restaurant. 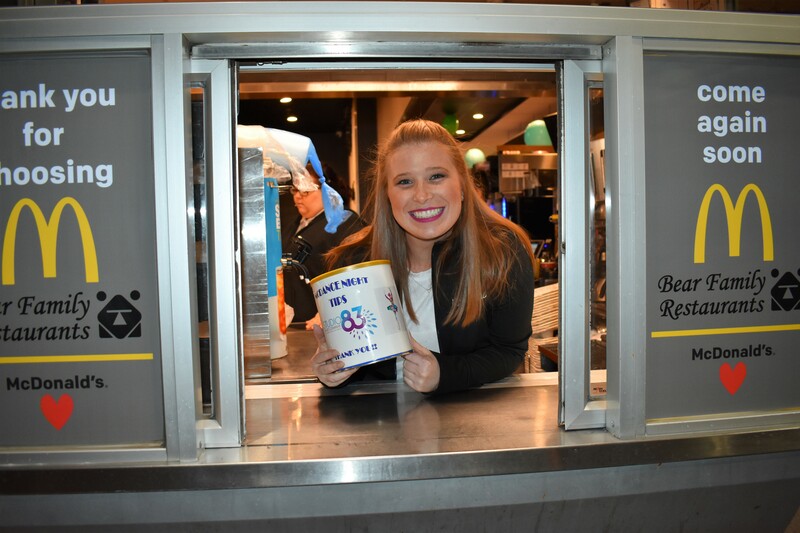 The McDonald’s staff enjoy partnering with the Park District because it gives them a chance to give back to the community they are in, according to Bear. “I’m proud to play a part in bringing the community together and supporting, The Park District and the Dance Team,” Mr. Bear said. The McDance Night was courtesy of the Bear Family restaurants and McDonald’s Owner-Operator, David Bear. Like us on Facebook and visit our Bear Website. 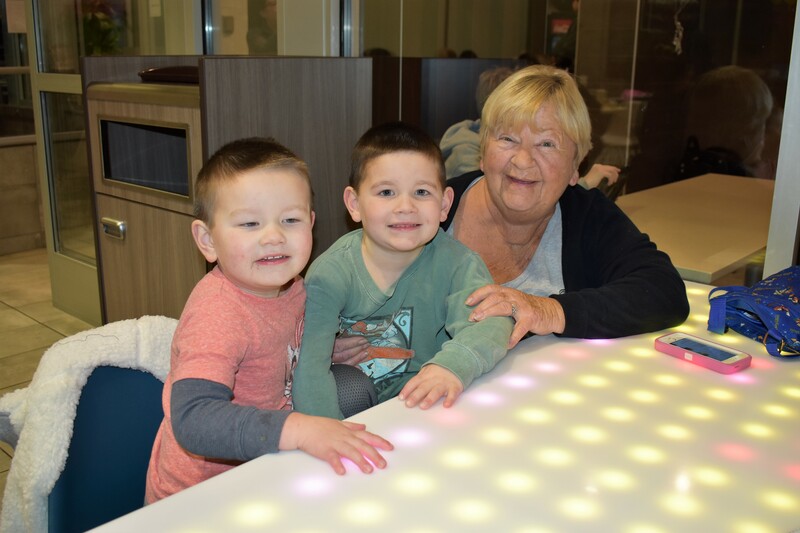 For more information about events provided by the Wheeling McDonald’s, please contact Community Relations Director, Julie Travers at julie.travers@comcast.net.